Sometimes getting to the surf is more difficult than others. Of course, that’s all part of the adventure that makes surfing what it is. At this spot off Oahu, surfing the waves costs a traverse down a steep and craggy path followed by a well-timed jump into the sea. 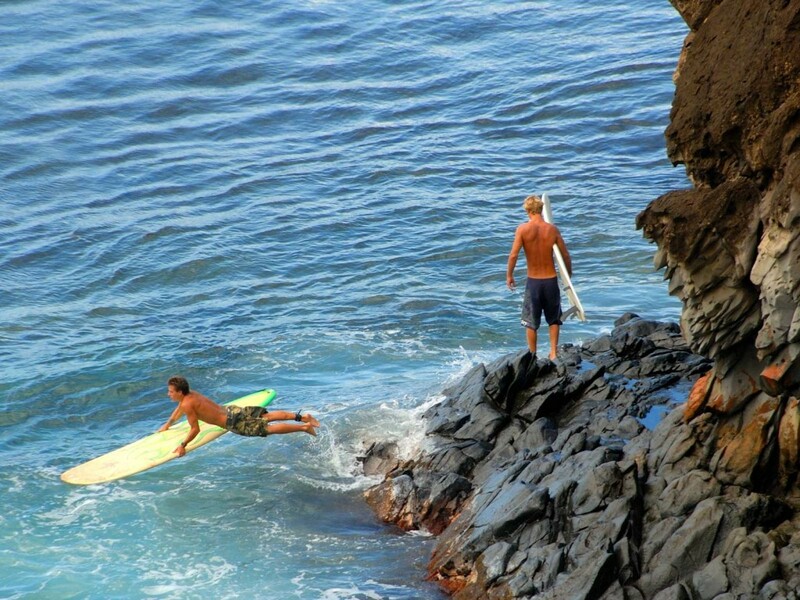 Wet rocks and heavy surfboards complicate many ocean-side entries in Hawaii. That does not stop many surfers though. In fact, it only makes getting in the water that much more fun. Leaping three or four feet down into the water, longboard in tow, this surfer demonstrates how it is done.